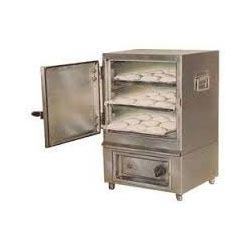 We are a leading Wholesale Trader of idli steamer from Kolkata, India. Since the starting of our company in this domain, we are actively engaged in offering a wide array of Idli Steamer to our customers. These products are developed by using premium quality components which are sourced from authentic and reliable vendors. Apart from this, offered products are well known for resistant to corrosion nature. Our valued clients can be avail this offered assortment at very reasonable prices.